Vintage in a historical sense, this plastic transistor radio referred to as the Panasonic “cube”, model R-47A exhibits pure modern design and pays homage to Eero Saarinen by eliminating a “slum of legs” with a singular tulip pedestal. 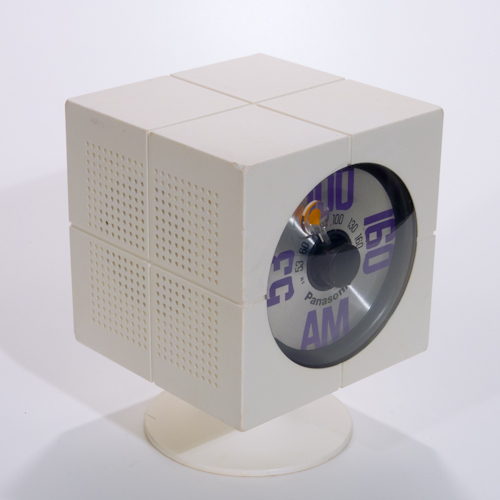 Manufactured in the 60s by Matsushita Electric Industrial Company, the cube measures approximately 4″ x 4″, 5.5″ tall; elevated on the iconic tulip base. The plastic is a sophisticated matte finish, off white. The dial face is silver behind a clear eye. 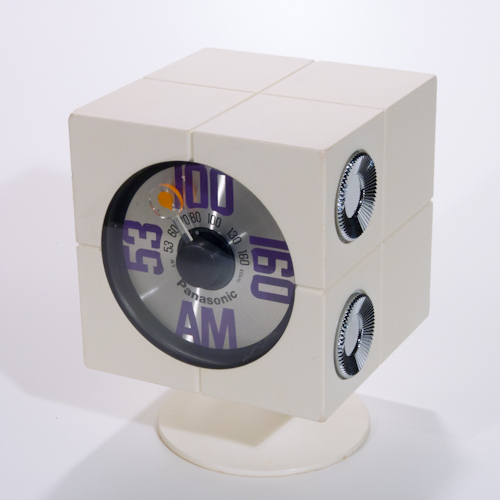 The graphics are mod, if not groovy, frequency numerals are in purple with a clear dial needle punctuated by an orange bubble design that can be seen through the edge of the clear plastic. The AM only frequency,volume, and on/off are controlled by two ridged silver dials on one side. 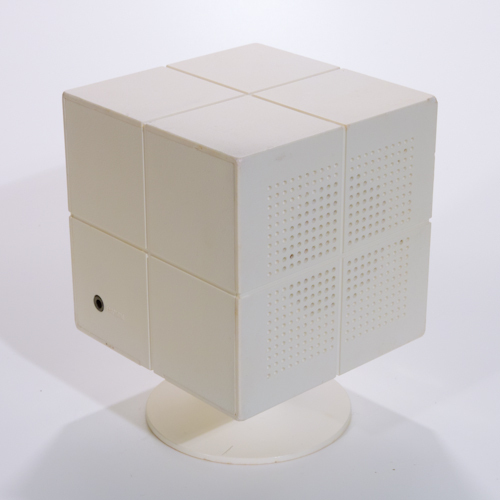 The speaker is on the opposite side comprised minimally of perforations in the molded plastic. There is a jack for an earphone on the back.